We are full of information, wisdom and experience and we'd love to share it with you for FREE. Request your free PreNursing e-packet, today! You will receive a copy of our Welcome Letter, links to our favorite resources around the web, lists of recommended TEAS materials and how you can borrow / buy them from current students, information on our next events for pre-nursing students and a sign up form for our pre-nursing mentoring program! 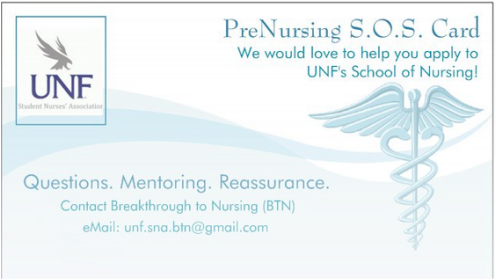 Our goal is to help you succeed in applying to nursing school!